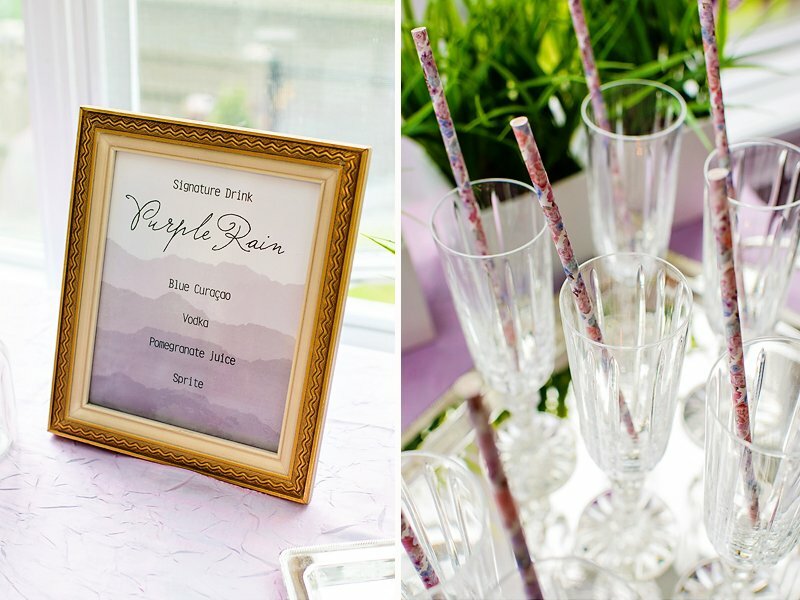 This sophisticated and absolutely stunning Garden Inspired Ombre Purple Party by Renata De Thomasis of RDT Events & Beauty looks like a fabulous way to celebrate in style with all your besties! 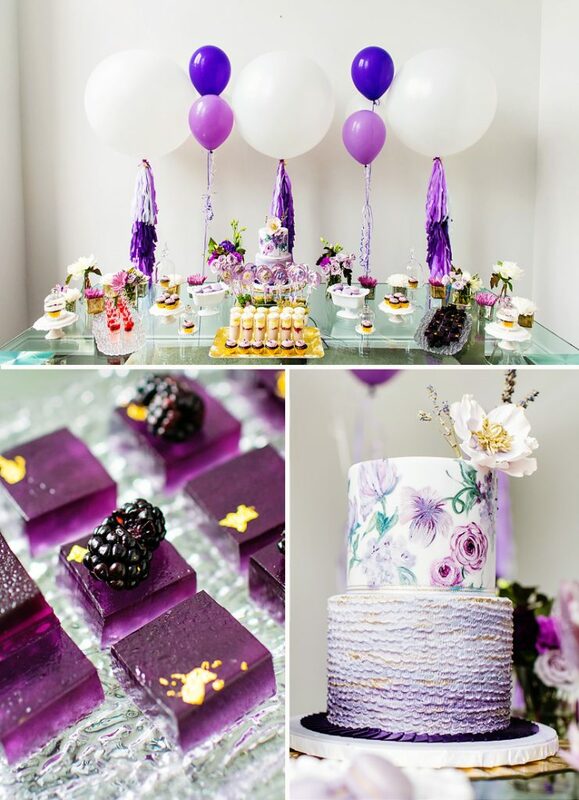 Following the birthday girls’ only guideline: “Include purple!“, Renata created a whimsical dessert display and elegant dinner table that were purple, floral & glam all over. 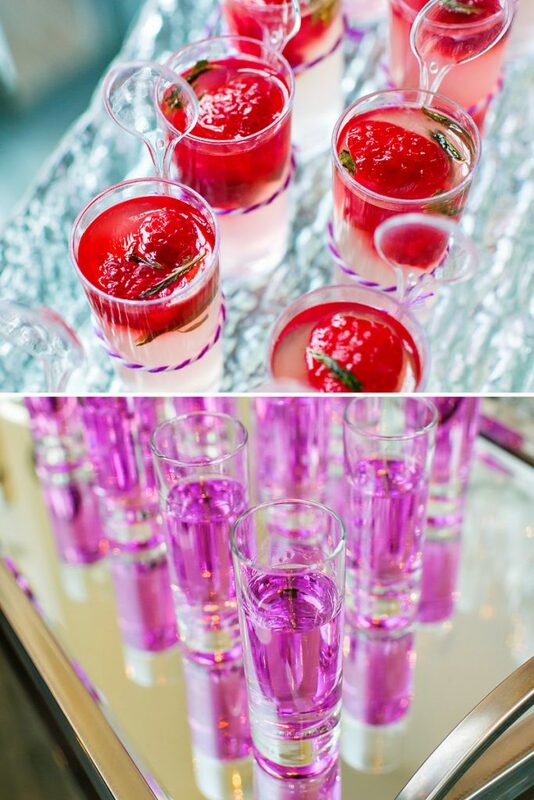 Throw in the “Purple Rain” signature drink, chic mini bites and one hot lavender outfit, and I would call this purple party perfection! 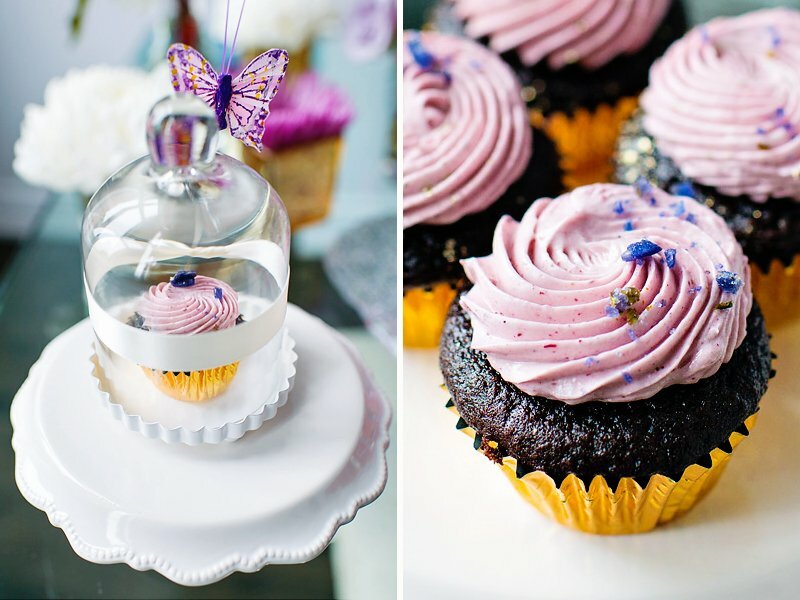 Chocolate cupcakes and purple floral and ruffle layer cake from Nadia & Co.
As a stylist and planner, when the only guideline the birthday girl tells you to fall within is to include the color purple, you of course include all shades for an ombre purple party! 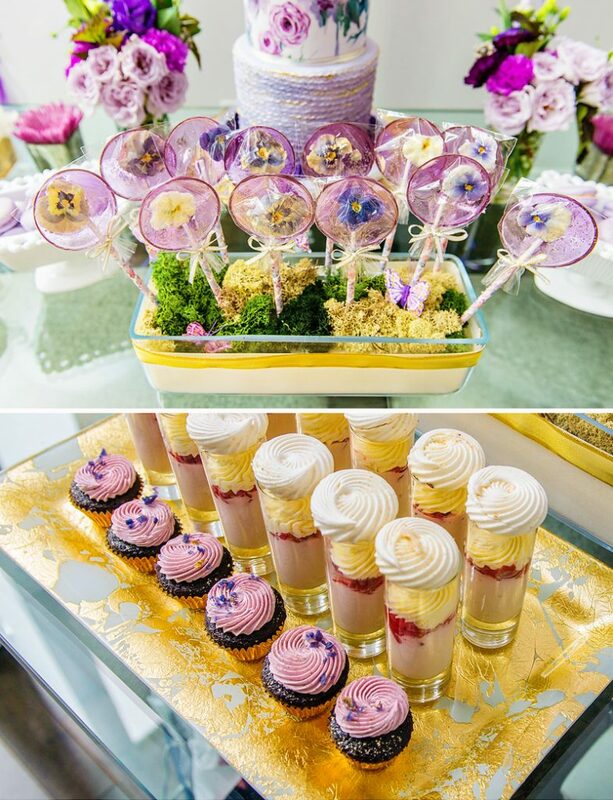 I dreamed up this magical color scheme and was on my way to plan the most glamorous birthday bash! 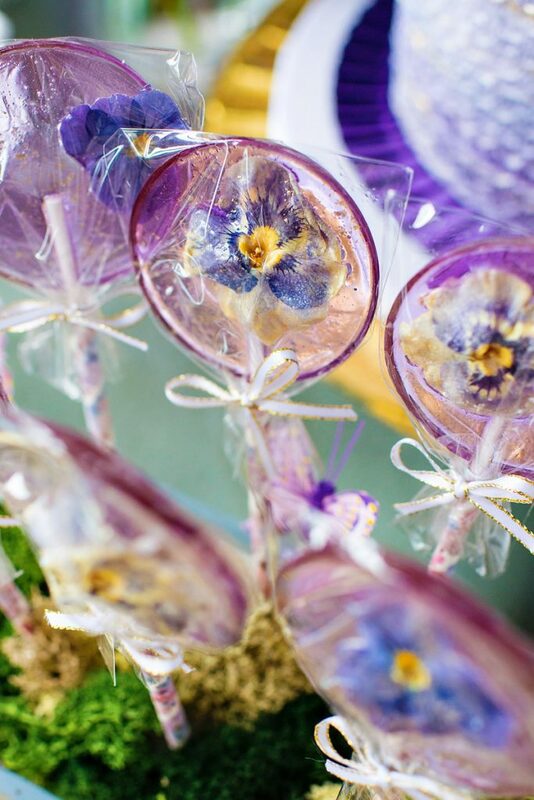 All shades of purple (from lavender to eggplant) were included through the stationery, linens, sweet table and beyond. 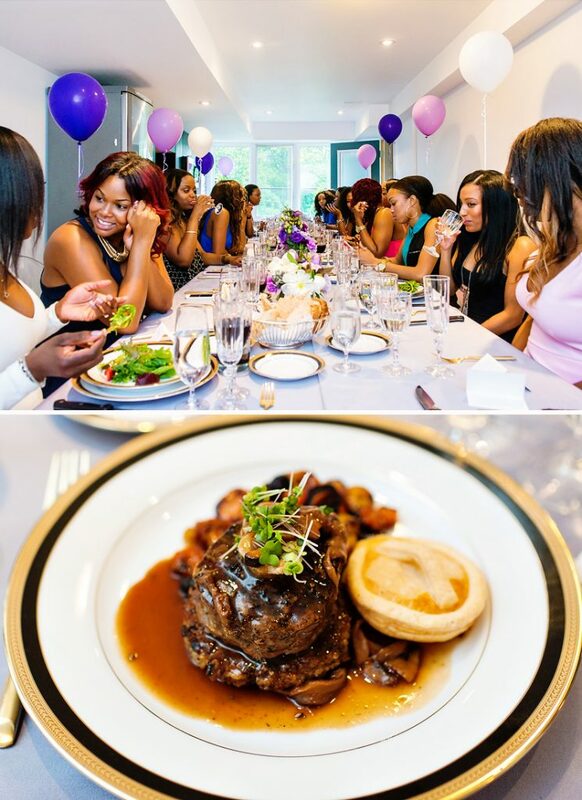 Daniel et Daniel provided the most delicious plated lunch that was served on the gorgeous black and gold trimmed china, accenting the modern gold cutlery and crystal cut glassware. 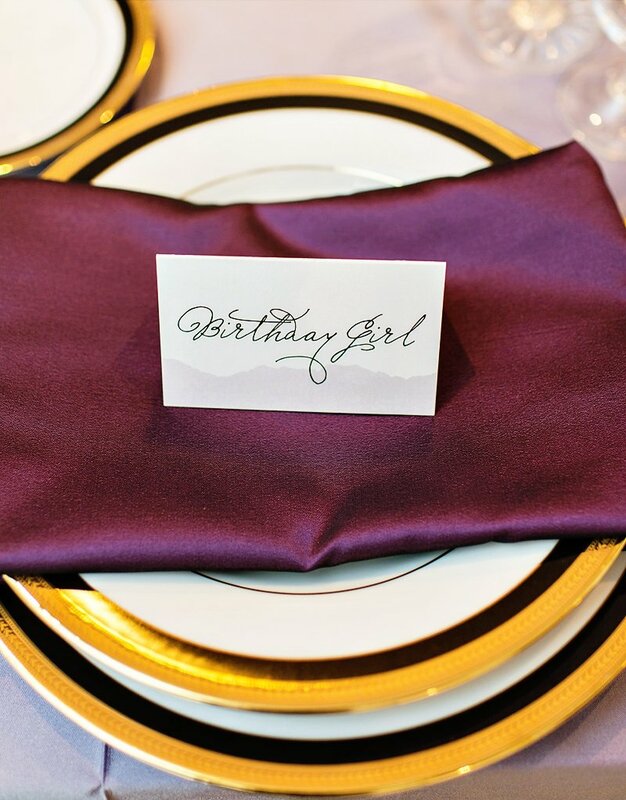 The linens, of course, had to be all shades of purple for added contract! 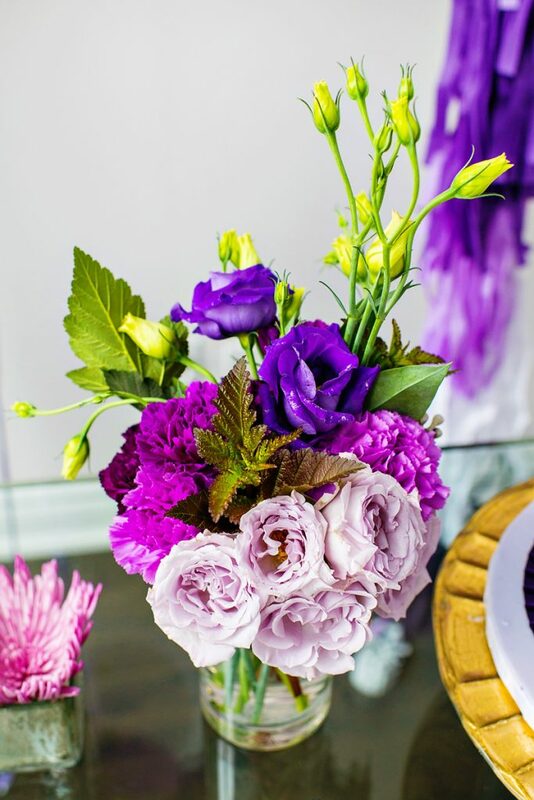 The stunning floral centerpieces also followed our ombre theme and had all shades of purple throughout. 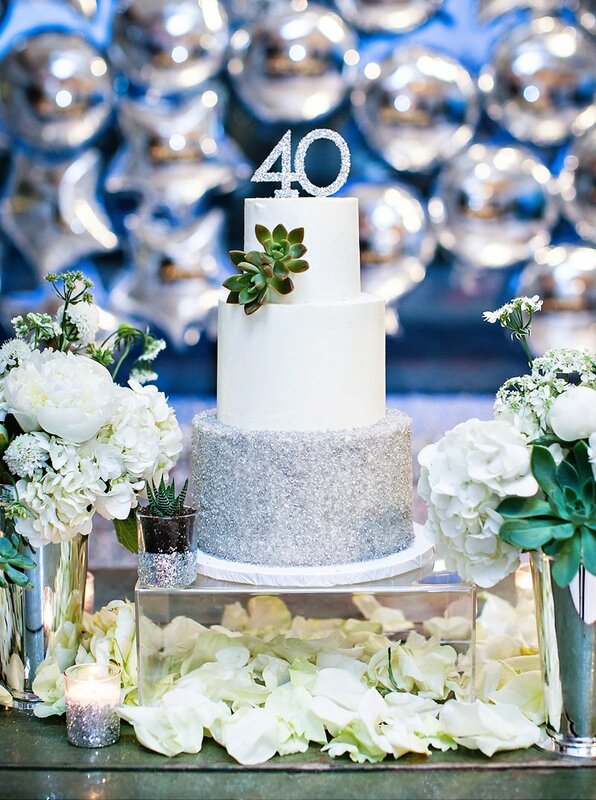 Massive balloons on 4-foot garland tassels were the back drop to the most beautiful sweet table of a monochromatic birthday cake, spiked jell-o shots, mini cupcakes and floral lollipops! This birthday is definitely going to be one to remember. 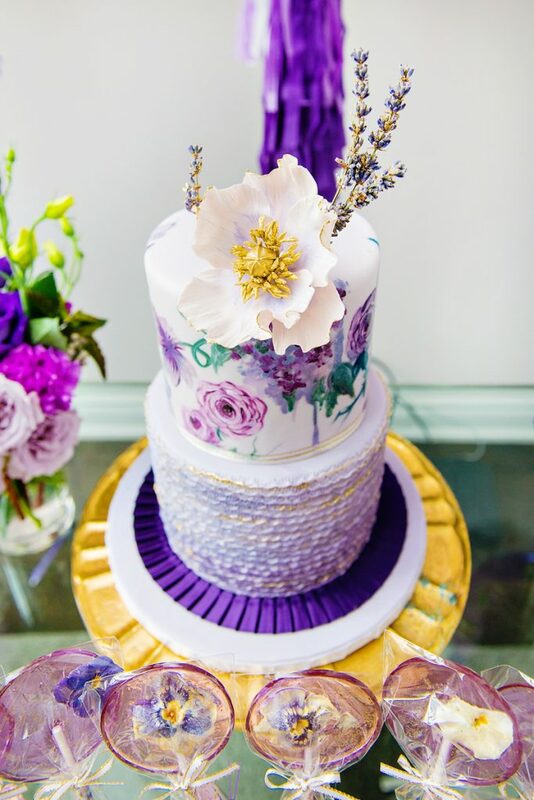 Love the colour scheme, different shades of purple coming together. Stunning! Good lord look at that CAKE! Wow! Just wow! 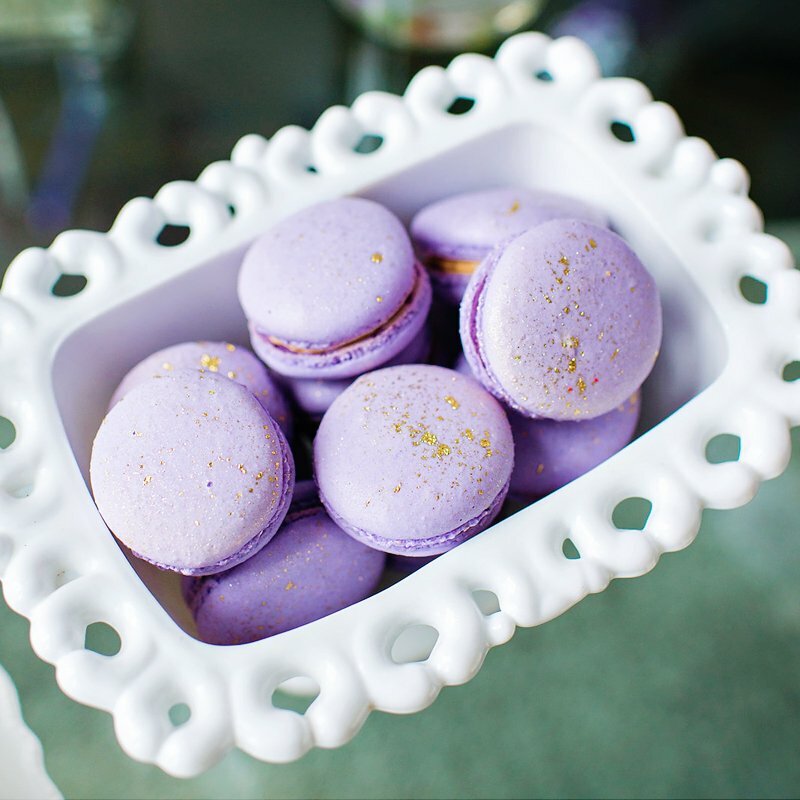 So much fun, I love the purple macaroons with gold dust. And the framed ombre menu. 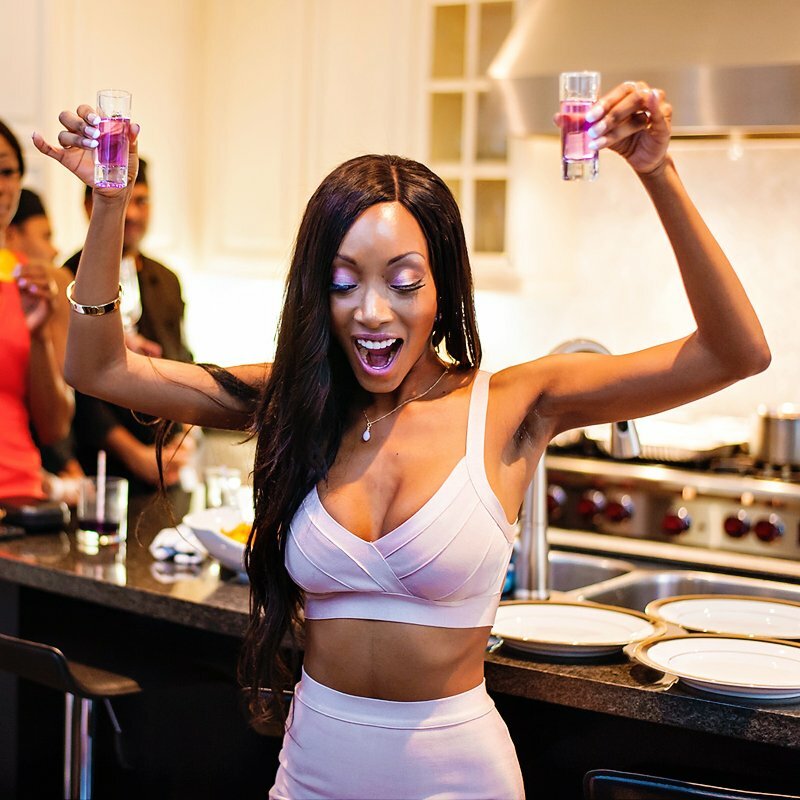 I also have a birthday party website you may like to check out. 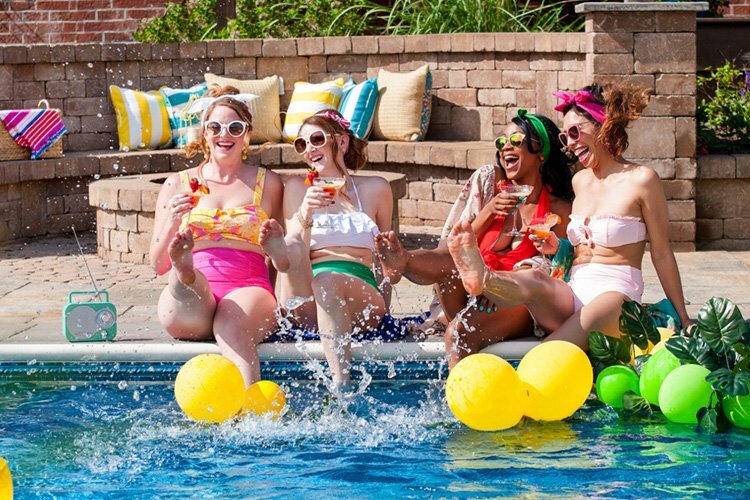 It’s loaded with fun party themes. 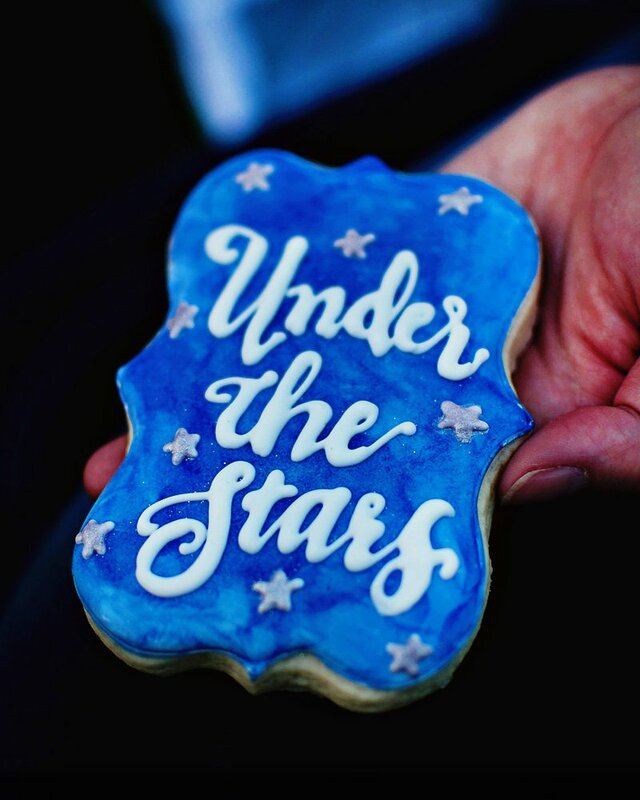 http://www.birthdaypartyinviations.ca Thank you and keep up to great work!